Private Label. De Oliebron is one of Western Europe's biggest independent lubricating oil producers. Our clientele consists of large oil companies and lubricating oil traders. We lead the private label market and we see to the entire logistical process for many of our customers. All our customers need to do is concentrate on their sales and pass on the order to us, after which De Oliebron produces the brand articles and delivers them to any address. The combination of a very wide range of lubricating oils, various packaging types and customer-specific labels provides infinite options. Bulk supplier. De Oliebron offers an even wider range of services. Large companies generally have their own filling facilities, and with these customers in mind De Oliebron recently modernised and extended its bulk department, which makes it possible to load over 825 types of oil in tankers with a relatively short delivery time. We also discreetly supply a number of tankers with professional brand products to our customers' addresses every day. Problem solver. De Oliebron's clientele has also included large multinationals for many years. We often act as a problem solver for these companies. This involves issues such as highly complex products, logistical challenges or specific OEM approvals that we have generally obtained as one of the first producers. De Oliebron has state-of-the-art facilities and highly professional personnel, which makes it possible to turn our customers' problems into a shared challenge. Feel free to contact us to find out what we can do for you. Why no Oliebron brand? We are often asked why De Oliebron, despite all its expertise, does not place its own brand on the market. We can say in all modesty that we'd certainly be able to make a success of such a venture, but there is one important reason why we will never make this move. At De Oliebron, everything centers not on the brand but the customer. With its own brand De Oliebron would be competing directly with its own customers, which is the last thing we want. With us it's not only your brand that's private, but your clientele too! Wide range. With over 825 different lubricating oils De Oliebron has a very wide range from which we can meet just about any demand. We offer the latest engine oils, but also the most suitable oils for heavy-duty racing engines, motorbikes and agricultural vehicles. De Oliebron also has a wide and dynamic range for virtually all industrial applications. Official Approvals. 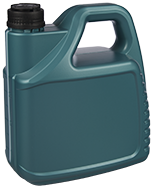 The quality of the lubricating oil is often judged on the basis of official OEM approvals. De Oliebron has the latest and most OEM approvals, which gives it a unique position. All of the information about our range and these approvals is given on the customer site, which is open to our customers and prospects. If you are not yet included in our database as a lubricating oil wholesaler, please contact us here. Care for the environment. De Oliebron regards product development as one of the most important pillars of its success, with efforts focusing on longer and longer oil change intervals. De Oliebron has also developed Eco products and an XHydraulic line that are contributing to a better environment. 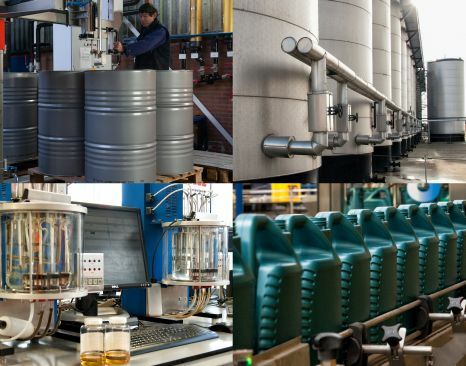 Product development is a continuous process and that gives our customers assurances that they will always be offered the latest developments in lubricating oil technology and care for the environment. Sales and marketing. If required our marketing department can help you with the development of the labels for your private label products. The label layout is considered from a professional viewpoint and the labels are tested against the statutory requirements. Laboratory. De Oliebron has been supplying products of consistently high quality for over 125 years, and a good laboratory is a very important part of this. The staffing level has therefore doubled compared to a few years ago, and the laboratory has been completely refurbished. The surface area has doubled and we have invested in the very latest equipment in order to carry out the tests even better and faster. Our laboratory analyses each production batch, but also products from the filling lines and incoming raw materials. The laboratory also plays a major role in product development. Technical support. Our Research & Development department has been greatly extended in recent years, which has resulted in a large number of new products that are already demonstrating their practical worth. Every day our specialists also answer questions from Oliebron customers and help them to apply for rebrands. Documents. The document flow is fully automated. Order confirmations, whether or not stating prices, COA’s and invoices, can be sent to several email addresses. If required a copy of the CMR will be mailed as soon as the goods leave our business premises. Our customers are provided with an overview of outstanding orders and payment on our customer site. More and more companies are noticing that logistics is more than a balance sheet entry: it forms a fundamental component of the cost price of the products. In a contracting market characterized by cutthroat competition profit margins are under pressure and cost reduction is more important than ever. 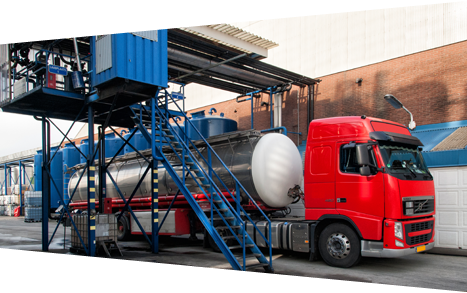 De Oliebron also specializes in the logistical aspects of both bulk and packaged goods, in which customers are offered various alternatives in the area of storage and transport. De Oliebron transports brand articles in our customers' names to the delivery addresses each and every day. This is done professionally and discreetly, and only the name of our customer is stated as the supplier.